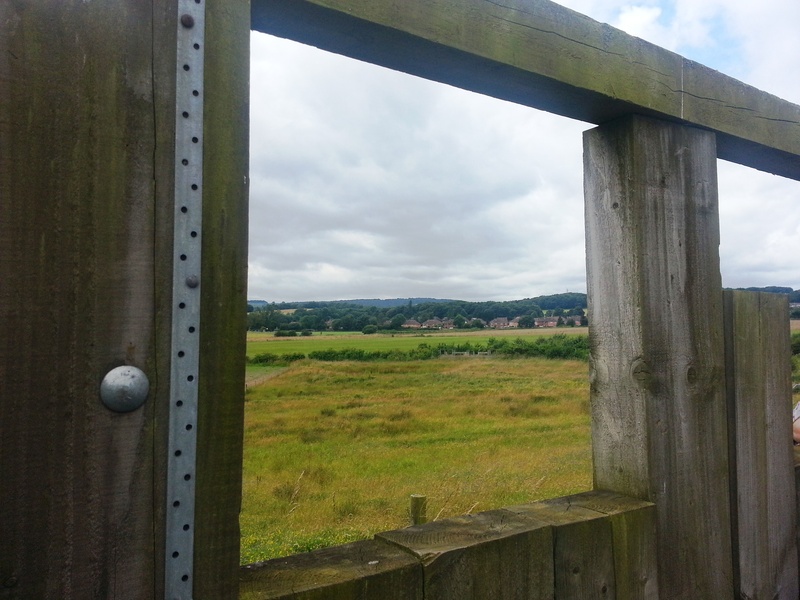 Avenue Washlands’ scenic green oasis is so rich in wildlife that you would never know that the former coking works on which the reserve is now located was reckoned to be the most contaminated site in Europe. Avenue Washlands is a fantastic example of nature’s amazing strength. Even before restoration started, amidst the sludge and slurry, wildlife was already starting to thrive. The park is home to a diverse range of thriving wildlife. Species such as Water voles, which are nationally declining, have found a home here. There are also Little egrets, Great crested newts, Grass snakes, Kingfishers, Barn owls, Lapwings, Skylarks and Little ringed plovers. People can enjoy great views of these species and many more from the special viewing platforms all around the site. Reserve open at all times. Visitor centre only open for groups by prior arrangement. The Avenue Visitor Centre on Mill Lane is only open for groups by prior arrangement, otherwise park on Mill Lane just past the houses. There is no parking available at the Tupton end. Access to the site is via squeeze stiles which are just wide enough for mobility scooters. About 80% of the reserve, including the two viewing screens, is accessible to wheelchairs. The park is home to a diverse range of thriving wildlife. Species such as Water Voles, which are nationally declining, have found a home here. There are also Little Egrets, Great Crested Newts, Grass Snakes, Kingfishers, Barn Owls, Lapwings, Skylarks and Little Ringed Plovers. People can enjoy great views of these species and many more from the special viewing platforms all around the site. The former coking works was reckoned to be the most contaminated in Europe. 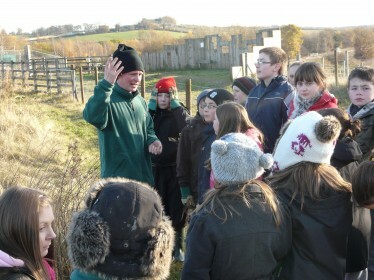 Amazingly the nature reserve, which was created as part of the first phase of restoration, supports an incredible array of wildlife including several BAP (Biodiversity Action Plan) species and is providing education opportunities to thousands of children. At its peak the plant carbonised 2,175 tonnes of coal a day. This could produce: 1,400 tons of smokeless fuel, 65 tons of Sulphuric Acid, 35 tons of Ammonium Sulphate, 20,000 gallons of crude Benzole and 250 tons of Tar. In 1992 the works closed, lying disused until in 1999 when the East Midland Development Agency, funded by the Homes and Communities Agency through the National Coalfield Programme, commenced the enormous task of dismantling and cleaning possibly this highly contaminated site. 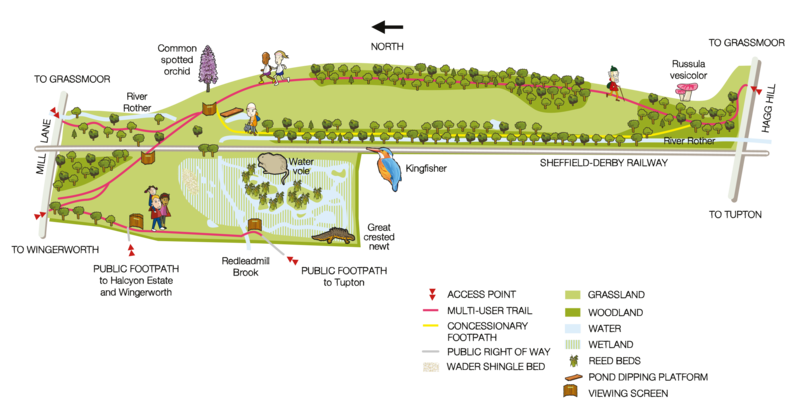 The restoration of the site and subsequent transfer to the Land Trust was undertaken in two distinct phases. 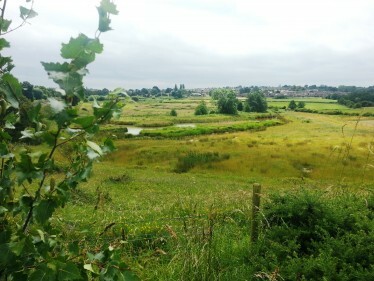 The southern part of the site, previously railway sidings and agricultural land, was completed in 2007 and leased to the Land Trust, while the remainder of the site was restored over a five year period. To contact the Land Trust about this site or how we could help manage your space please email our Estates Manager	Charles Langtree .